Sometimes, defending an important truth in the face of error or misunderstanding requires challenging comments made by the people we respect the most. Criticizing Cardinal Alfredo Ottaviani is enough to get one stoned in certain “traditional” circles, but let’s not be afraid to state the truth. The claims of a “more-Christian” Russia have given an opening to Churchmen to now promote Russia as the generator of world peace! It’s the next dialectical step in the communization of the Catholic Church in order to merge her into the Masonic/Communist one-world religion of the New World Order, a religion foretold by Pope St. Pius X in Our Apostolic Mandate. In this very important, and necessarily lengthy article (one that I admittedly labored over many prayerful hours to write), we’re going to take a closer look at the idea that Russia has been chosen by God from among the nations for a unique blessing; namely, that of being the instrument of the peace that was promised by Our Lady at Fatima. This “spin” on Our Lady’s words may initially appear harmless, perhaps even diplomatically wise, and yet, as we shall see, it inevitably leads to the abandonment of certain fundamental Catholic truths, and possibly even the Faith itself. Where this glorified notion of Russia’s role with respect to the message of Fatima originated is not known (more on that later), but one thing is absolutely certain; it did not come from Our Lady. Even so – and it pains me to tell you this – it appears that certain of Fr. Nicholas Gruner’s comments may have contributed to its burgeoning popularity among so-called “Fatimists” today; including those who are presently running the apostolate that he labored so many years to build. In a Q&A video (below) with John Vennari dated 11 December 2013, Fr. Gruner was asked to comment on the question, “Why is Russia being picked on?” This video is the second in a three part series of videos on the topic published on consecutive days. Shows how Russia is not being picked on, but on the contrary how it was chosen for a special blessing and the role Russia will play in being an instrument of peace for the whole world. I think Russia has a special mission that it cannot achieve without being consecrated. The fact is it’s a blessing, so it’s not a question about who’s guilty, it’s a question about who’s being more blessed in this case. Russia is being more blessed. There is more in this video to address, but let’s stop here for just a moment. There can be no doubt that the consecration of any nation to the Immaculate Heart of Mary – singled out by name, and made by the pope in union with the bishops of the world, no less – is a great blessing. Then again, so too is the absolution that we receive in the Sacrament of Confession, and this most certainly pertains to questions about who’s guilty; i.e., these two concepts, guilt and blessing, are not mutually exclusive under certain circumstances. Our Lady’s message is quite clear; the requested consecration of Russia, far from indicating that it is thus being more blessed, is indeed being made in light of that nation’s guilt before God. I shall come to ask for the consecration of Russia to my Immaculate Heart, and the Communion of reparation on the First Saturdays. If my requests are heeded, Russia will be converted, and there will be peace; if not, she will spread her errors throughout the world, causing wars and persecutions of the Church … In the end, my Immaculate Heart will triumph. The Holy Father will consecrate Russia to me, and she shall be converted, and a period of peace will be granted to the world. Our Lady, as promised, did return to ask for that consecration. The year was 1929. Pay close attention to these dates; they are significant. Note very well that Russia stood guilty before God even before the consecration was formally requested; i.e., the errors of which Our Lady spoke, and the persecution of the Church about which she warned, were already by then, though not at their zenith, a present reality. The primary stated purpose of the requested consecration, according to Our Lady, was to effect that nation’s “conversion;” i.e., its return (or turn as the case may be) to God. Her words are very plain; the consecration is not ordered toward anointing that nation (like King David) for a special mission. In fact, according to Sr. Lucia, Russia is unique for the exact opposite reason. Russia will be the instrument of chastisement chosen by Heaven to punish the whole world if we do not beforehand obtain the conversion of that poor nation. As I write nearly 90 years after the consecration was requested, it is clear that the errors of Russia have spread even into the Church. When we consider “chastisement” and “punishment,” most of us tend to think almost exclusively of matters temporal (e.g., wars, famines, the annihilation of nations, etc. ), but this is a mistake. 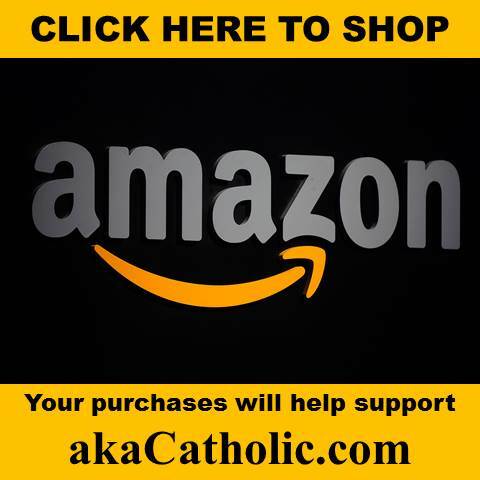 There is no greater punishment to be had in this world than the corruption of the Holy Catholic Church such as it is in this post-conciliar age as evidenced by the fact that even the popes no longer call men to conversion, no longer teach the fullness of faith with conviction; much less preach the Kingship of Christ to the nations! We must, therefore, say unequivocally that this nation, Russia, not only has been, but remains by virtue of its errors, the instrument of chastisement by which the whole world is presently being punished. Do not be lulled into complacency on this point by virtue of Russian President Vladimir Putin’s popularity among those who have elevated him to Christian-hero status. Whatever indirect or practical good the Russian Orthodox Church can carry out by aiding longsuffering Christian communities or resisting certain secular-liberal trends such as the spread of gender ideology and homosexualism pales in comparison to the supernatural good Our Lady can accomplish. May her Immaculate Heart triumph. Temporal peace is not possible apart from this supernatural good, and both will come about only after Russia’s conversion. Following this, Our Lady promised a period of peace indeed, but this is a far cry from suggesting that Russia has been uniquely blessed among the nations of the world to serve as the “instrument” of said peace. This notion is but an ill-advised embellishment of the Fatima message: regardless of intent. One might be tempted to defend the idea of Russia’s special anointing by pointing to St. Paul as an example of a persecutor of the Church who, once converted, became an instrument of peace. In fact, Fr. Gruner made exactly this case in another unfortunate video; this one dated 15 May 2014. As we will see, even Russia’s union with the Catholic Church in order to serve the cause of peace is being questioned. So, if not the nation of Russia, what precisely will be the “instrument” of the peace that Our Lady promised? It is the Holy Catholic Church, she who alone speaks and acts with authority in the name of the King and Prince of Peace; in a most profound way through His Vicar on earth, the pope! At this, we are drawing very near to the heart of the matter, but for now let’s return to the video of 10 December 2013. God has chosen Russia for his own good reasons to be this nation, that through the conversion of Russia, and that Russia as a nation living the gospel, that it will be able to be an instrument to convert the whole world. It will come through first of all Russia being converted and living that gospel, and spreading the gospel in such a way that it will become infectious and people will want to join [the Church]. Is it reasonable to believe that Russia, once it is converted (which, make no mistake, means becoming a truly Catholic nation, but more on that momentarily), will set a compelling example for other nations? Sure, but let’s not allow our esteem for Fr. Gruner to prevent us from admitting that this is but a highly speculative “prediction” that finds no support whatsoever in Our Lady’s words. This notion of an infectious truth capable of drawing others to itself is one that found great favor at Vatican Council II, and we know all-too well that it does not work, and for the simple reason that man’s sinful nature is such that he is more readily drawn to evil. Mankind (and nations) need, therefore, an authoritative teacher capable of leading it to truth, and more importantly, a Holy Mother able to dispense the grace necessary to embrace and to remain in said truth. For this, Our Lord commissioned His Church to set about spreading the Gospel and Christianizing the entire world, baptizing the nations and teaching them everything whatsoever that He commanded (cf. Matthew 28:16-20), including the Social Kingship of Christ. There simply is no indication whatsoever in Our Lady’s message that Russia has been chosen to assume that role in any degree whatsoever; not even by way of good example. The Church Militant, according to the mission given to her by Christ, is, and always will be, the unique instrument of peace in this world. Indeed, every nation on earth is obligated to learn from Holy Mother Church (i.e., to be a disciple; not an apostle) so as to know how to order its affairs in accordance with the Sovereign Rights of Christ the King, and to defend His prerogatives as circumstances may demand, whether at home or abroad. Now, that is not to say that Russia will not be used in a unique way according to Divine Providence. In 1936, Sr. Lucia asked Our Lord why the consecration is necessary for the conversion of Russia. Before we consider His answer, it is important to recognize that the question only makes sense if we understand very well that Our Lord has given His Church the mission of converting every nation. Furthermore, we must also consider that Our Lord has given to His Church all that she needs to carry out this mission, and consecration to the Immaculate Heart is not understood as an explicit prerequisite for the conversion of nations. As such, it is reasonable for Sr. Lucia to ask why this is the case with respect to Russia. Because I want My whole Church to acknowledge that consecration as a triumph of the Immaculate Heart of Mary, so that it may extend its cult later on, and put the Devotion to My Mother’s Immaculate Heart beside the Devotion to My Sacred Heart. And note very well that the immediate beneficiary of Russia’s conversion, according to Our Lord’s own words, is not the world by virtue of the peace that Our Lady promised, but rather it is His whole Church! As Our Lord’s words suggest, by leading the Church more deeply into the truth that His Mother is the Mediatrix of All Graces; a truth that He wills for His Church to spread; thus putting devotion to the Immaculate Heart of Mary beside the devotion to His Sacred Heart. Russia’s conversion is not ordered toward making it a unique instrument of peace in any direct sense; rather, it is ordered toward propelling the Holy Catholic Church (the hierarchy of which all of us recognize as being in need of its own conversion) forward in her mission as the unique instrument of peace established by Our Lord for all time. Let us never lose sight of the fact that the message of Fatima and Our Lady’s warnings concern the Church first and foremost. It is she who nurtures sinful man in the ways of repentance and sanctity, and it is she who directs the course of human society; not the other way around. The baseline reason why the world lacks peace in any age is always the same – rebellion against God. 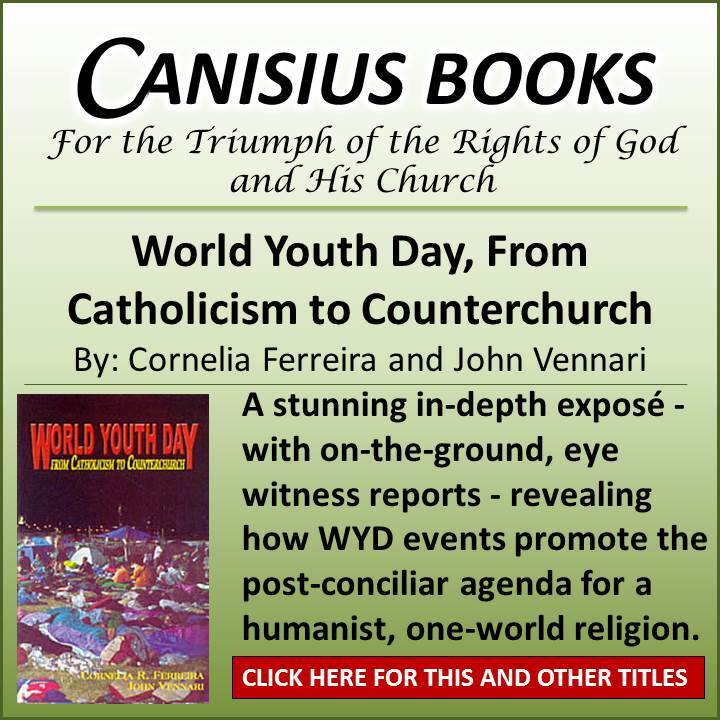 Today, the world is in open rebellion against God in an unprecedented way; not due to the actions of Russia, per se, but rather due to the “suicide of altering the faith, etc.” that took place in the Holy Catholic Church just as Our Lady forewarned! IMPORTANT: In the video of 10 December 2013 – the first in the series – Fr. Gruner provided a word of caution; a disclaimer of sorts that should make those who wish to continue his work very careful not to make his comments about Russia (as cited herein thus far) the basis for how the message of Fatima is to be promoted moving forward. I think there’s several reasons why Russia has been mentioned and I’m not suggesting that my reasons are the only reasons or the best reasons. Fr. Gruner went on to cite an article by Fr. Gregory Hesse (which one does well to read in full) that makes one of the very important points that I am raising here; namely, that the requested consecration of Russia is indeed due to its guilt, and what’s more, a consecration of this nature (as an act of reparation that restores to God that which has been desecrated) is something that the Church has always done. So, what is the danger in spreading the idea that Russia has been singled out as more blessed in order to serve as an instrument of peace? As mentioned at the beginning of this article, if embraced, this idea may lead to an abandonment of certain fundamental truths of the faith. At this point, it should be clear that one of those truths concerns the unique role of the Holy Catholic Church. From there, it is but a small step to denying the necessity of conversion to her – the Kingdom of Christ, wherein alone authentic peace can be realized. That said, we must acknowledge first and foremost that we simply do not have the right to embellish the message of Our Lady by painting Russia as anything other than what her words plainly indicate. This is the case even if our intentions are to somehow allay the degree to which the schismatic Russian Orthodox and the Russian people at large may take offense to the consecration, in the hope (founded purely on speculation) that doing so will help usher in the day when it will be done. Our Lady provided simple instructions concerning how to move from “Point A to Point B,” if you will, and they must be defended, taught, and heeded precisely. Just as an arrow once aimed directly at its target will miss by a wide margin if the bow is moved just one degree, so too do we risk going far afield by deviating in the slightest from what Our Lady actually stated. As has been noted in this space by both Cornelia Ferreira and myself alike, even now we can see where a hyper-focus on simply getting the consecration done leads; namely, to the tolerance of grave errors. This is quite obviously the case concerning those who recklessly applauded Cardinal Burke’s convoluted call for the consecration while ignoring totally his promotion of the very errors about which Our Lady forewarned. This is precisely what one should expect when sight is lost of the fact that the message and warnings of Fatima concern the Church first and foremost. Where did these ideas about Russia being more blessed as a specially chosen instrument come from, and more specifically, how did Fr. Gruner come to consider them so plausible? We cannot know for certain, but it appears that one of the ways in which Fr. Gruner was so influenced was via a book that the Fatima Center published in 2011; a work of fiction entitled, Russian Sunrise, written by one Bruce W. Walters. Linked above is a review of the book that was written for the Fatima Crusader by Suzanne Pearson. In the interest of space, I invite those interested to read Mrs. Pearson’s review. Full disclosure: I have not read Russian Sunrise, nor do I have any interest in reading a fictional account about what may or may not happen in the future. As far as I’m concerned, Our Lady told us everything we need to know. Be that as it may, it appears that this fictional work, which contains a number of the fanciful ideas about Russia addressed in this article thus far, made quite an impression upon Fr. Gruner, who cited it by name in both of the aforementioned videos (of 11 December 2013 and 15 May 2014). The Orthodox say, ‘well we don’t have to become Catholic, you guys have to become Orthodox.’ And well the answer would be let God decide. Let the Pope do the Consecration of Russia; if the Orthodox become converted to better Orthodox, then we can see that this is really the meaning of it. I’m convinced it’ll be the conversion of the Orthodox to the Catholic faith, but they don’t have to take it offensively. It pains me to share these comments, but they provide an important example of how far afield even the best of us can go if we allow ourselves, even with good intentions, to go beyond what Our Lady actually stated; e.g., in no way did she indicate that we (much less the pope) are to be concerned about how offended the Orthodox may or may not be. To invite the Orthodox to imagine otherwise, however, even as a strategy for allaying their concerns, is an offense against the Faith as we know very well what Our Lord desires of them. The means simply do not justify the ends. In this, it appears evident that Father had – albeit with good intentions, no doubt – departed from the mission that he was given to some extent by suggesting what is, at best, a dubious diplomatic maneuver that might (or might not) hasten the day when the consecration will take place. This is not what Our Lady has asked of any of us. It seems rather clear that the Fatima Center of today has gone further still, fully adopting a “get the consecration done at all costs” manner of thinking, and this is the very reason why the apostolate appears to be in compromise mode at this very moment. This brings me to what, by all appearances, is going to serve as the Fatima Center’s crowning “achievement” in this 100th anniversary year of Our Lady’s appearance. Though it is not widely known, Father Gruner, for a few years before his untimely death in 2015, had been working toward hosting a Fatima Conference in Moscow, in the heart of Russia. Father knew well that if the perceived resistance of the Russian people, and specifically of the Russian Orthodox leaders, could be demonstrated to be a non-issue, the Vatican’s main platform of resistance to Our Lady of Fatima’s request would be removed. Furthermore, as the Vatican cover-up of the Third Secret as perpetrated most notably in the year 2000 strongly suggests, the “main platform of resistance” is that the movers and shakers in Rome simply do not believe that Our Lady actually appeared at Fatima! Thus the great imperative to bring to Russia the truth about the Fatima Message — that it is not “against” Russia. On the contrary, Russia is a vessel of election chosen by Heaven to play an instrumental role in ushering in Our Lady’s coming Triumph. Russia holds a very special place in the Immaculate Heart of Mary. Again, let it be said that Our Lady spoke not one word to Sr. Lucia, either in 1917 or afterward, suggesting anything of the sort about Russia. In other words, this so-called “great imperative” did not come from Our Lady; much less is the so-called “truth” described above found in her message. At this, we will let Bruce Walters, author of Russian Sunrise, describe the upcoming Fatima Conference in Moscow. A Catholic conference scheduled in Moscow, Russia on November 4-5, 2017, will explain the traditional Catholic perspective on why the world desperately needs Russia now: heaven has chosen Russia to turn the world back to Christian faith. What utter and complete nonsense! The world desperately needs, and has always desperately needed, the sacred hierarchy of the Holy Catholic Church to carry out the mission given by Christ the King! It is the Catholic Church alone that is endowed with what is necessary to turn the world back to Christian faith and thus to peace. We look upon the resurgence of the Russian Orthodox Church with hope and joy, wondering if perhaps God has used the millennium-long “schism” as a means of preserving true faith and Christian practice in the East — for this very time when the West is forsaking its Christian roots and descending into paganism and chaos. God used schism to preserve the true faith? Apparently, Mr. Walters, who remember, is writing to inform readers about this upcoming conference, does not comprehend the true faith and where it resides. The Orthodox bless second and even third marriages (i.e., adultery), they reject the Primacy of Peter, and even refuse to accept that the Immaculate Conception is a dogmatic truth! What’s more, the Russian Orthodox continue to persecute Eastern Rite Catholics! So you tell me, where is the hope and joy in this? Just as they [traditional Catholics] strive to preserve timeless Catholic tradition in belief and practice, they view the resurgence of Orthodox Christianity in Russia as a cause for great hope. Make no mistake, my friends, “Orthodox Christianity,” in spite of its adherents’ proclamations against the immoral state of society, has rejected the Social Kingship of Christ by rejecting His Vicar; the same who rules with authority over the Kingdom of Christ here present. So, where will the undercurrent of this nonsense lead the naïve and the foolish? Directly to the point where it will be openly denied that “Russia will be converted” refers to its union with the Holy Catholic Church; i.e. it will be believed and taught that the peace Our Lady promised will come even if Russian Orthodoxy continues as it is. Already I can tell you that persons whose identity would shock you are holding firmly to precisely these errors, disseminating them privately. I cannot say to what extent Bruce Walters speaks for the Fatima Center; even though his influence has been duly noted. What I can tell you unequivocally, however, is that his views represent neither the “traditional Catholic perspective,” nor the words of Our Lady as spoken at Fatima. If, however, he has provided an accurate snapshot of the aims of the Fatima Center’s upcoming conference in Moscow (and there is reason to believe that he has), then clearly the apostolate – the one that all of us counted on for so many years to hold the line – has truly lost its way. 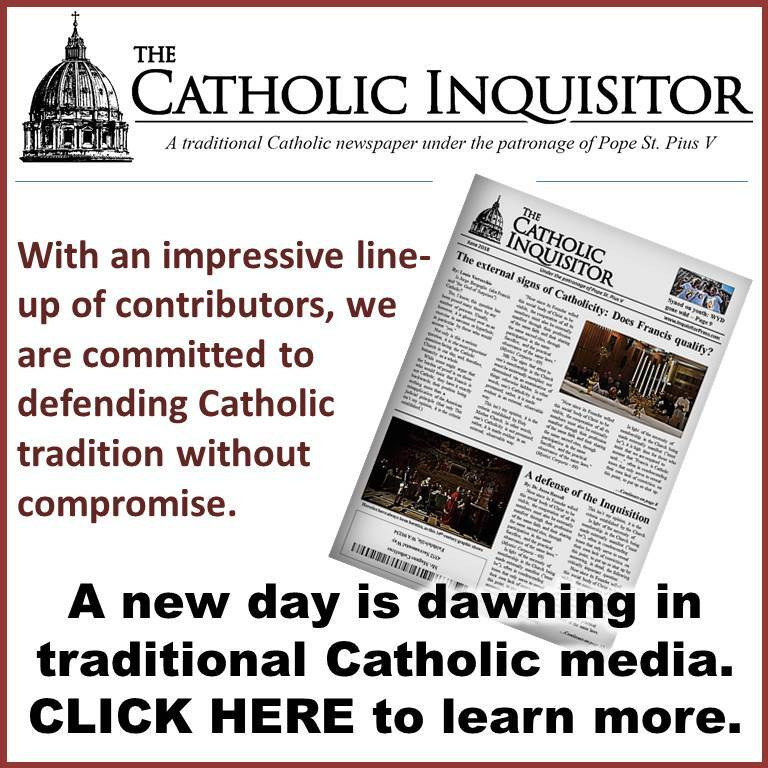 We must pray and fast and make reparations for the offenses described in this difficult article, begging Our Lady to raise up faithful voices that are willing to persevere in defending the integrity of her message regardless of cost. May it please Our Lord and Our Lady to grant me and our other contributors all that we need to be among them. Nothing controversial here. I agree 100%. “See how Russia will burn!” Before my eyes there extended an immense field covered with flames and smoke, in which souls were submerged as if in a sea of fire. Thanks for the sensible reminder Louie. In truth none of us actually knows what God is going to do after the Consecration proper. So naturally a lot of it has led to reasonable speculation. Notably by drawing parallels from the conversions by Our Lady of Guadalupe, and also from the Consecration of Portugal. What was dubbed as a ‘mini-example’ of what God would do for Russia. It is not unreasonable to believe that a converted Russia would naturally act on behalf of the Church’s interests as her civil arm, and from which we’d get more religious vocations from men and women who were raised within the Orthodox Schismatic system that still maintained the old liturgy, which would help in the aftermath. Even as a military force, Russia would come to the aid of our persecuted brothers and sisters in the Middle East and especially in China. But you are right Louie in that we may be in danger of putting the cart before the horse and transferring to Russia what has always been the job of the Holy Catholic Church, whose sole duty it is to convert the nations. So from that standpoint it is the public demonstration by the Pope and the world’s bishops leading to the conversion of Russia, and perhaps accompanied by a similar heavenly miracle like that of the Sun at Fatima as a public undeniable proof that there is a God and that Catholicism is the true religion and God acts through His Vicar and the princes of His Holy Catholic and Apostolic Church. It is Russia and particularly the Orthodox, before the Atheists, Protestants, Muslims, Jews and pagans, who will prove to be the most stubborn opposition to conversion. And Russia and the Orthodox are by contrast to the western world’s social and godless problems acting as the FALSE ALTERNATIVE within the whole Hegelian disorientation. Ecumenism was of the Orthodox first in getting along with the other separated orthodox before the Protestants were around. Hence why God demands the public demonstration by the Pope and Bishops in union with the Pope. As for Fr. Gruner’s softening of the issue, I didn’t see it as that, but rather that Fr. Gruner was making a point ‘for the sake of argument’, just as St. Robert Bellarmine did to Foscarini over the Heliocentric heresy, when he stated that presuming that scientific evidence could be produced for the movement and rotation of the Earth, then, and only then might the Church entertain that Tradition, Trent and the Fathers had not properly understood the Holy Scriptures. But after entertaining this hypothetical fantasy, Bellarmine then proceeded to state that he did not see this as being possible at all. Because naturally the Church is guided by the Holy Spirit and can could not have been led into error so unanimously and for so long. Thus likewise, Fr. Gruner was merely entertaining the opposition’s belief, and likewise at the end stated the truth, that it would be the Orthodox who would convert. But as the prior statement also indicated, if the collary was true, then what would the Orthodox need to be afraid of? Why not perform the Consecration? After all, don’t we all wish to know the truth? We can contrast this to what the Prophet Elijah did against the Prophets of Baal. He publicly called them out and challenged them, that each would come before the people and call upon their Gods to determine who was right. Elijah, for the sake of argument entertained these false prophets and their claims before the people, as they continued to fail, he even started making fun of them. Then finally he , after watering his sacrificial offering numerous times to alleviate any charges of trickery, called upon God, who answered and rained down fire from heaven to immolate the sacrifice. Then the people believed, and Elijah ordered them to seize the priests of Baal and slit their throats by the river. So I would not take Fr. Gruner’s statements as that of weakness to the opposition, but merely as rhetorical device. As for the other members, such as the author of Russian Sunrise, perhaps they might be guilty of reserved speech in order to approach Orthodox Russians to speak about the topic. I presume in charity that their intentions are good and can’t really judge what is prudent at what particular time. But let us indeed state that we cannot over-indulge in prudence any more than pastoralism. I’ve read Russian Sunrise. It’s an interesting book with a good collection of facts and reasoned speculation that even explores areas of proper finance, usury, government, subsidiarity etc. from Catholic morality and social teachings. But as a narrative and work of fiction, it is not very good. But it seems to me to be more the work of a speculative essay than a story. In a sense there is too much Deus Ex Machina, and the characters are practically faultless living saints. Truly one wishes such people could exist in reality, but it makes for dull literature. Russia and Vladimir Putin are significantly better in a lot of ways compared to the West, but they are still a false alternative, and all we would be doing is changing the guard with regards to a Global Government and financial system. Instead of a hegemony of U.S. control, you’ll end up with a similar structure shared by members of the BRICS and the Shanghai Cooperation. Russia and Vladimir Putin, despite closer association with the Russian Orthodox on social/moral issues are still firm believers of freedom of religion, separation of Church and State etc. The Russian Orthodox and Vladimir Putin themselves believe that they share more in common with Islam than they do the Catholic Church due to their cultural history together. Russia has no plans to challenge or convert moderate Islamic nations, nor the Chinese, who while not the level of ISIS, still persecute Christians and seek to keep the Catholic Church firmly away and underground. It seems to me then that Russia’s speaking out about crimes against Christians is more for propagandistic effect considering that ISIS is a creation of the United States CIA and supported by Canada, France, Israel and the UK who funded and trained them. Israel also looks after these Jihadis in hospitals and sends them back to the front lines again. Russian Orthodoxy is a schismatic sect from the true Church. Period. And what do you know? Francis is likely their biggest fan considering he’s trying to make the Church like the Orthodox with open adultery and reception of the sacraments, decentralizing the Church away from the Papacy, and coddling up to secular governments to champion their political and social causes under their lead. In many ways, our envy of leaders like Putin and of those things the Russian Orthodox has preserved in terms of liturgy etc. is completely understandable. And in some ways to argue that God’s providence might make use of these things is compatible with our faith; in that God can make lemonade wine out of lemons even if it was never His will that lemons should grow amongst His vineyard, until they are converted fully to grapes by the caretakers of His vineyard that He’s charged with certain duties to extract all the lemons and replant the soil with good seed. People need to pay attention to make certain we separate our speculative ideas from the facts in order not to propagate false notions. But notice how all of this could’ve been alleviated long ago out of simple obedience to God. We are more complicated disorientated and separated and divided today due to our negligence and stupidity. Now the garden is overrun with weeds choking us, and it’ll take bloody cut and burning hands to uproot all of it. President Valadamere Putin is The “Great Monarch” as prophesied by many Prophets. 2. Bishop Bernard Fellay of the Neo SSPX has completely joined the Fatima Center and will be going to Moscow with them. 3 If it is just a speculation I don’t fault Father Gruner since it is hard to look at the west and the Vatican and see any hope. Just a couple of thoughts but as I said I want to read it again and follow up on the sources. Thanks Louie for all your research! Thank you for the excellent research, Louie. What you have written is clearly the truth and you have presented it meticulously. Malachi Martin held the same theory at least as early as 1991 (“Salvation’s going to come from the east. And it’s not going to come because Mr. Gorbachev becomes a Christian or puts a crease in his trousers and adopts capitalism. … It’s going to come because she has chosen Russia as the place to operate the first great change, and it will teach the world.” – https://youtu.be/A-7_VbrvPoo?t=2315) There’s another version of it, which I recall Fr. Gruner presenting at other times. Russia, having been converted, uses its considerable resources to exert pressure on the rest of the world, either militarily or through more peaceful means, to stop the expansion of the west’s atheistic empire and perhaps even to force it to reverse certain antichristian policies domestically, similar to how the UN and IMF have been pressuring poor nations into legalizing abortion and gay marriage. This would set the stage geopolitically for the Church to then get on with the business of reevangelizing the world, bringing about the promised time of peace. Being the first to convert, Russia would serve as a model for how a Catholic nation might organize itself politically, and perhaps the prosperity they would likely enjoy as a result of their newfound virtue would serve as a beacon of sorts, providing a worldly incentive to those on the fence about adopting similar policies. I think that’s what Fr. Gruner really had in mind, or something like it. He just didn’t always go into detail when he brought it up. I suppose it’s such a popular theory that some have forgotten it’s just a theory, not an explicit part of the promise. It’s the Catholic Church that needs converting! Let us not forget Bella Dodd. The “Catholic” Church is under the control of Masons and Communists. Why would they want to convert Communist Russia? Thank you, Louie, for your hard work and clarity on this most important, but difficult topic. Well, I dont believe that any vatican 2 cleric (fake priest all the way up to fake pope) can do anything regarding our Faith, so the idea that Russia can still be converted by these anti-Catholics is actually amusing. If I knew that Bergoglio was set to visit the town where I live Id rent a hotel room in another town until he was gone. The thought of even being in the same town as he was would make me physically ill.
All of this confusion is happening precicely because there is NO POPE. Only saints or madmen speak with such certainty when waters are murky. Which are sedevacantists? Thats just it Al jr, the waters are not murky once you take off your “A heretic can be pope glasses.” Accept that fact and you will see the Church in all her indefectibilty restored before your very eyes. Yes it will be very very small. A mere fragment of what it was. It will be a Church lacking its earthly Shepard, but it will be the Church without error or stain of heresy. It will be a Church of Catholics left wondering why God has decided to leave us in this state of no Shepard, but it will not be confusion or chaos. Only suffering and mystery, two things Catholics know how to handle. One thing we have never had to handle before was contradiction. That is why your eyes see murk. You have accepted the contradiction and are now blind. Good article. Mr Walters, like all true devotees/defenders/excuse makers of the NO religion help lead souls to hell (whether knowingly or unknowingly ((unless they are truly mentally incapacitatet)) wont matter as willful ignorance can never be an excuse for evil actions). Fr Gruner actually supported this heretic? Thank you Louie for explaining what at least I have always taken to be the correct understanding of our Lady’s words. I have been quite confused by all this talk about Russia being blessed, etc., etc. and it just never sat right with me at all. I am just a nobody who doesn’t understand much because being as unlearned as I am (simple housewife and born and raised NO until about 3 years ago) I always held this exact interpretation and couldn’t figure out how other, more learned and influential people came to that conclusion. Every time I read your articles, I am always at peace because it seems everything I am thinking and discerning ends up being confirmed in what I read on your site. I take great satisfaction in knowing that the conclusions I come to are in agreement with such a learned, holy (and yes I do believe you are holy) person. May our Jesus Bless you and your family and May our Lady keep you all sheltered within her loving mantle! Your analysis seems spot on, Louie. Distressing to hear Bishop Fellay is endorsing the convoluted interpretation. What happened to the holy fear of God in many of these “traditional catholic” voices? “But he that shall scandalize one of these little ones that believe in me, it were better for him that a millstone should be hanged about his neck, and that he should be drowned in the depth of the sea.” Matthew 18:6. That’s a big risk some people seem to be taking by projecting their own desires or ideas on to Our Lady’s message. I would be far more cautious, thorough in my research and prayerful, as Louie has shown himself to be, were I a leading, or even nominal voice in what has erupted into a “debate” about Our Lady’s message from Fatima. Souls are on the line. Also, and some people may disagree, but it seems like we have a lot of problem solvers trying to accomplish tasks above their pay grade, though I have no doubt that they are doing it for love of Christ and concern for souls. It seems to me that we have an epidemic of our Cardinals and Bishops, which began before V2, that had/have a serious deficit of faith. Some before entering the priesthood, others lost it later, but for these men to be acting as they are, and not acting, in such a clear crisis, they are lacking in varying degrees of faith&belief in truths/doctrine that requires supernatural faith. God is allowing this, I do not presume to fully understand his reason. Nothing can give anyone the gift of supernatural faith but God. We don’t have to get into the nitty gritty of the technical details, the bottom line is we can do things until we are blue in the face, but God must remedy their deficits of faith, we cannot on our own. We can cooperate with divine providence through our petitions in prayer, fasting, offering masses, mortification and offerings, reparations, but that is largely the extent of our abilities on that front. These men should have been exposed to the full truth of our faith. On the other hand, so many of the lay faithful have been confused, misled, denied truth and they need to be informed, many do not have sufficient information and don’t even know they don’t have it. I was one of those people until God opened the door to pre-Vatican 2 writings and I started discovering inconsistencies and I started digging for the full truth for the last 3 years (inconsistencies which I would never probably have been able to discern on my own without having fortunately been led to law school beforehand to learn logical reasoning). Informing the faithful is critical, but seeking to find human actions and strategies to get around the fundamental deficits of faith in our leaders is perhaps bordering on pridefulness or slipping down the slippery slope of trust in divine providence. The fall of Communism was a fraud from it’s inception .The Russian economy was failing , like Cuba’s , like Venezuela’s and so on. In exchange for cutting their satellite nations free, Gorby was offered the chance for Russia to become a player in the global free trade market and jump into international politics with his Green Cross. I know , I was there with Russian defectors who, were suddenly allowed back in for visits and they brought all kinds of goods with them. Before this the shelves were empty and afterwards you still stood in bread lines. We all knew the truth and the BIG lie of Perestroika ! You think they are converting to Catholicism? Why do you think only Opus Dei was aloud into Moscow Diocese? My own dearly deceased priest friend, an Eastern Rite priest actually built the first Catholic parish in Siberia…..BUT because so many were coming the Russian Orthodox Bishop got him booted out. later an RC priest took over the parish. the Russian Orthodox actually could care less about the NO Catholic Mass. They know their people will only frequent the Divine liturgy of Sts Chrysostom and Basil . They do not was Byzantine Catholic Churches in Russia . Apologies for the typos, too bleary eyed to edit them tonight. Please read the link I posted above and read the comments too. Real Russian Orthodox Believers know what Krill and Putin really are . Just as we know what Borgoglio really is. know this…..Roman Catholics who resisted communism in the Baltic states and in Hungary also knew and were helped by Believers among the Russian Orthodox who had their own underground churches.This secret nun in Lithuania along with good Catholic priests wrote the Chronicles of the Church in Lithuania which was delivered to the Vatican . She was here in the nineties and told Catholics in Lithuanian parishes that Gorbachev was more evil and dangerous than Stalin and Lenin combined. ” Sadūnaitė endured years of torture, strategies to break her spirit, and relentless interrogations designed to psychologically reduce her strength. Her single means of defending herself was through her unquestionable faith in God, a weapon which still has not been matched by the KGB. “Skepticism” was a mild word. She said he was pure evil. sweepoutthefilth – I agree in 100% . Communism in Russia did not fall, it just transformed. Communism regime and it’s servants are masters of deception. Orthodox church is very aggressive against Catholic Church. It’s highly possible that the only place one Earth where communist revolution could have such success is schismatic Orthodox Russia, because deification of the state / ruler (state/nation is everything, individual is nothing – in short) was already present before revolution, for many centuries thanks to false orthodox religion. It’s big topic, but simply lets state this: russia’s orthodox society, culture – was ideal ground for communism. The next in row are Germans – in my opinion. Of course it’s important to mention that statistically Russia’s people are the one who fought the most against communism, more than any nation in the world, but they lost. and suffered the most also. Possibly there is no contradiction in these two positions (that the Church Militant is the unique instrument of peace in this world, and that God has chosen Russia for an instrumental role in ushering in the Triumph of the Immaculate Heart of Mary). Consider the context, given that the Consecration of Russia has already been so long delayed since the moment of Heaven’s request in 1929, and we seem at present to be farther away than ever from the fulfillment of this request. The Third-Secret Vision depicted the seat of the Church in ruins and filled with corpses, and Our Lady spoke explicitly of a coming thorough, inescapable persecution of the faithful: “The good will be martyred.” If it is at such a late point that Russia is at last consecrated — and thereby converted en masse — it will be the Church Militant. Louie I have to hand it to you, I never looked at Fr Gruners explanation of Russia being chosen as a blessing as being anything other than a way to soften the blow that Russia itself would be the instrument of such devastation throughout the world, something akin to a parent trying to soften the pain of their child from the harsh reality of the outcome of the child’s bad behavior. I certainly never took it for more that that and I for one never delved into where that suggestion could take us. Apparently it is taking us exactly where you have stated. I do believe dear Fr Gruner was worn out from years of sacrifice and rightfully so. May Our Lady of Fatima beg Her Divine Son for Grace and Mercy for the Church and the world as the hour is very late. The V2 NO pseudo-church is spreading more errors than Russia and must be converted to the Holy Roman Catholic Church established by Our Lord. How can we get Modernist Rome consecrated to Mary’s Immaculate Heart? Speaking of the consecration of Russia by this fake “church” is almost laughable if it weren’t so tragic. Yes it is very tragic, and it’s very hard on us, chewing my nails to bits over it. Will we one day see it break ? This final battle between Our Lord and the devil is hard to live through, but we know the outcome in the end. We have Our Lord and Lady’s word on that. JPeters: I think that is a distortion of what Fr. Gruner meant. Like all other countries today, Russia is drenched in the blood of the innocent and extremely guilty before God. Fr. Gruner never denied that. The land of Russia also has the special “privilege” of being the location from which Satan chose to spread the errors of Communism throughout the world. Fr. Gruner was well aware of that too, and never denied it. That being said, there is nothing wrong with saying Russia is “blessed” in the sense that God has willed, from all eternity, to convert it, in a miraculous way, in order to help to establish devotion to the Immaculate Heart of Mary which will bring about an era of peace. That is the reason Russia is blessed and that is clearly what Fr. Gruner meant. How is Russia an instrument of peace? The miraculous conversion of Russia will be used by God as a secondary cause to spread devotion to the Immaculate Heart, which is what will bring peace to the world. Being used by God as a secondary cause is the sense in which it can be referred to as an instrument of peace. Fr. Kramer: “God has special plans for Russia. He has, according to the inscrutable designs of His Providence, chosen Russia for Himself, and therefore He has commanded that Russia be consecrated to Himself through the Immaculate Heart of Mary. … There may be other apostate and sinful nations, but God, in virtue of divine predilection, HAS DECREED THAT RUSSIA BECOME THE VESSEL OF HIS MERCY. Louie: “The primary stated purpose of the requested consecration, according to Our Lady, was to effect that nation’s “conversion;” i.e., its return (or turn as the case may be) to God. Her words are very plain; THE CONSECRATION IS NOT ORDERED TOWARD ANOINTING THAT NATION (LIKE KING DAVID) FOR A SPECIAL MISSION. JPeters: The land of Russia was chosen by Satan to spread the errors of Communism throughout the world, and it has also been chosen by God to help establish devotion to the Immaculate Heart of Mary following its conversion to the true Faith. Just as Russia can be called an “instrument of evil” in the first sense, so too can it be called an “instrument of peace” or a “vessel of God’s mercy” in the second sense. This is all Fr. Gruner meant. JPeters: The errors Our Lady warned about were those of Communism. Accusing Cardinal Burke of spreading the errors of Communism is a very serious charge for which you will have to render an account on judgment day. Since you made the public accusation, you have an obligation to demonstrate how Cardinal Burke is promoting “the very errors about which Our Lady forewarned” (Communism) or else retract your statement and issue a public apology. First let’s remind everyone that you are the kind of person who deceitfully misquoted the Mother of God in the previous article by Cornelia Ferreira to deliberately remove any mention of the necessity for bishops in union with the Pope to perform the Consecration in order to defend an ecumenical consecration with the schismatic Russian Orthodox. Now you are deceitfully misquoting Louie out of context. The first quote from Louie is not anything about signling out what Fr. Gruner specifically said but Louie is referring to the overall climate and false impression that a host of people have, including a deceitful person like you JPeters, that Russia is a source of blessing PRE-CONSECRATION, when everything the Queen of Heaven and Sr. Lucia state indicates that PRE-CONSECRATION it is a vessel of chastisement. Therefore we should NOT BE DEPENDING ON RUSSIA to solve the world’s problems, when that ROLE BELONGS TO THE CATHOLIC CHURCH FIRST AND FOREMOST TO BRING ABOUT PEACE – THE TRUE PEACE OF JESUS CHRIST. And when Louie mentioned that he looked through the works of Frère Michel, is was NOT LOOKING FOR Frère Michel’s or Fr. Kramer’s interpretations or opinions, he was specifically looking for direct quotations from the Queen of Heaven or Sr. Lucia that would suggest that Russia is what people are making it out to be. Louie is not arguing that Russia isn’t ‘special’ in some way, because obviously attention has been called to that nation under a specific request singling it out for a particular purpose. But the danger is that certain people are already moving as if Russia – RUSSIA TODAY IN THE YEAR 2017 – is somehow going to be a blessing by encouraging it to act on its own, or of requiring Russia or the Russian Orthodox’s permission or help in getting the Consecration done. The reality is that Russia and the Russian Orthodox are IRRELEVANT to getting the Consecration done, and that job has always been and solely remains in the hands of the True Pope and the Holy Catholic Church. PERIOD. The blessings do NOT COME FROM RUSSIA. The blessings come from CHRIST and they come from CHRIST THROUGH HIS CHURCH UNDER THE DIRECT ACTION OF THE POPE AND THE WORLD’S BISHOPS. And again we find JPeters deceitfully ignoring what others have already repeatedly corrected him about – namely that Russia’s sins and errors are only concerned with Communism, when Russia was already a sinful nation and in error PRIOR TO THE COMMUNIST REVOLUTION, OF WHICH COMMUNISM RESULTED FROM THAT CHIEF ERROR – SCHISM FROM THE HOLY CATHOLIC CHURCH. From which Communism was a punishment, and an error born from error. Hence the demonstration God requests from the Pope and those Bishops in union with him. Hence the requirement of CONVERSION. To what? American Democracy??? Because remember, when our Lady came to Sr. Lucia, Russia wasn’t Communist yet! And reparation was to be made for Russia’s SINS. The Consecration rewuires the Pope and Bishops in UNION with him, and is an act of reparation. Our Lady forewarned Lucia ahead of time that she would come later in 1929 to formally request this. The revolution began in small steps from March 1917 and finalized in October 1917. The Apparitions of Fatima began in May 1917 and ended in October 1917 with the miracle. If the conversion was only about the sins of Communism, then rejoice! We’re all saved, because Russia now practices democracy! It has converted to Democracy!!! This is what JPeters wants us to believe because he like Cardinal Burke have no problem letting the schismatic Orthodox join in! Because Our Lady only spoke about Communism???? So it wasn’t about conversion to the full Holy Catholic Faith??? JPeters in his zeal to protect certain conservative Cardinals, despite whatever amount of good they do or try to do with good intentions, doesn’t know what he’s talking about and thus he is led into defending absurdities. though Our Lady never mentioned Communism by name. to offer the instruments of His Passion to defeat the Communists. Saturdays in reparation for these sins. Lady. We see that they come from not only atheistic or godless men. nor do they recognize Her as Mother of Men. Lady, and teach them not to honor Her images. These blasphemies against Our Lady flow from false religions. particular chastisement of our time. false creeds content in their doctrinal blasphemy against Our Lady. So John Vennari of course would be on Louie’s side against the idea of making ecumenical madness out of Fatima and the Consecration! And it looks as though God is also of the same thought as revealed to His seers through His Holy Mother. But JPeters is only focused on ‘Communism’ ignoring every other context as if all that was just an ‘aside’ and unimportant and unrelated to Russia’s SINS AND ERRORS. JPeters, first let’s hear you retract your deliberate distorting of Our Lady’s words you had to have deliberately misquoted in order to attack Ms. Ferreira and defend Burke’s call for an ecumenical consecration. Please publicly apologize first to the Mother of God, then to everyone else for ever daring to commit such as act in order to deceive. I didn’t misquote anything. It was you who did so. “The moment has come in which God asks the Holy Father to make, and to order that IN UNION WITH HIM AND AT THE SAME TIME, all the bishops of the world make the consecration of Russia to My Immaculate Heart” (Frère Michel, The Whole Truth About Fatima, vol. II, p. 555). That quote doesn’t help your case in the least. In fact, it only confirms that the phrase “in union with” means “together with” since she added “and at the same time”. She wants the Pope to perform the consecration “in union with all the bishops of the world,” and she wants them all to do it at the same time. My point was that there is nothing in this request that suggests the bishops of Russia are forbidden to take part. By misinterpreting the phrase “in union with” to justify your objection to the Russian bishops taking part in the consecration, it was you who “deceitfully misquoted the Mother of God in the previous article by Cornelia Ferreira,” not me. To find your responses where you deliberately and are still deliberately distorting the quote. It was always IN UNION WITH HIM. This is NOT A DIFFERENT TRANSLATION. You DELIBERATELY CHANGED the words to make your argument. Please provide the source of your BS quote, given that every search will turn up the correct one which I and others presented to you. You can’t make any points based on LIES JPeters. 2) Documentos, pp. 463-465. Found in Frère Michel de la Sainte Trinitè, The Whole Truth About Fatima, Volume II: The Secret and the Church, pp. 463-64. 3) The book, Marian Apparitions, the Bible, and the Modern World, By Donal Anthony Foley, page 272 (available online). There are four references for you. Now, in reparation for your false accusation, and the offence that it caused God, please offer a public apology. JPeters like his friend Martin Luther deliberately drops a key word from the quote of the Virgin Mary -‘him’- meaning the Pope, and now tries to engage in mental gymnastics. In union with HIM and at the same time means, despite JPeter’s feigned ignorance of the English language – Bishops of the world in UNION WITH THE POPE and SIMULTANEOUSLY WITH HIM performing the Consecration. Perhaps someone ought to take the time to give JPeters a lesson on the word ‘And’. Given the Orthodox are NOT IN UNION with the Pope and would not follow his ORDER, because the Pope is ORDERING a union and simultaneous Consecration with him. The ORDER for Union and Simultaneity comes FROM THE POPE. So unless the Russian Orthodox suddenly start following and obeying the Pope’s orders, they are not in union with him and therefore would not perform a Consecration from an Apparition whose messages all imply that the Orthodox are to convert. Furthermore, for a bishop not to obey the Pope would make him disobedient to his vows and could result in automatic excommunication, meaning he ceases to be in union with the perfectly orthodox and just command of the Holy Father. Hence why God demands the Pope to EXERCISE HIS GOD-GIVEN AUTHORITY AS THE PRINCIPLE APOSTLE AND HEAD OF THE CHURCH ON EARTH IN HIS MAJESTY’S ABSENSE! Observe JPeter’s sheer Protestant stubbornness and deceit. Proving that JPeters is not an honest man and is not in this to engage in honest discussion. Should anyone trust the words of someone who would so shamelessly double down on the fact that he is deliberately changing the words spoken by God’s messenger? This is where obsession with ecumenism leads folks, JPeters is a bird of a feather with the modernist clique. Johnno: “The first quote from Louie is not anything about signling out what Fr. Gruner specifically said but Louie is referring to the overall climate and false impression that a host of people have, INCLUDING A DECEITFUL PERSON LIKE YOU JPETERS, THAT RUSSIA IS A SOURCE OF BLESSING PRE-CONSECRATION, when everything the Queen of Heaven and Sr. Lucia state indicates that PRE-CONSECRATION it is a vessel of chastisement. JPeters: You obviously have a problem with reading comprehension. I never said, nor did I suggest, that Russia is a source of blessing pre-consecration. I said the exact opposite. Before the consecration Russia has been used by the devil to spread communism. AFTER the consecration it will be used by God to help spread devotion to the Immaculate Heart. Read what I wrote again and pay more attention this time. JPeters: My point was that Frère Michel and Fr. Kramer have the same view of Russia’s role as did Fr. Gruner. Fr. Gruner did not base his view on The Russian Sunrise. Johnno: “Louie is not arguing that Russia isn’t ‘special’ in some way, because obviously attention has been called to that nation under a specific request singling it out for a particular purpose. But the danger is that certain people are already moving as if Russia – RUSSIA TODAY IN THE YEAR 2017 – is somehow going to be a blessing by encouraging it to act on its own, or of requiring Russia or the Russian Orthodox’s permission or help in getting the Consecration done. If Louie’s article would have simply said that Russia must convert before it will be a “blessing” to the world, in any way, and/or that it is a serious error to imply that Russia will be a blessing without renouncing its heresies and converting to the true Faith, I would have agreed with him 100%. The problem is that he tried to place the blame for these error on Fr. Gruner, who did nothing whatsoever to cause them. As far as Russia participating in the event, there is nothing wrong with it. In fact, an objection raised concerning whether it would be permitted to Consecrate Russia without their bishops being involved. Frere Michael commented on this in volume 3, and said it is permitted to perform the Consecration without them taking part. Johnno: The reality is that Russia and the Russian Orthodox are IRRELEVANT to getting the Consecration done, and that job has always been and solely remains in the hands of the True Pope and the Holy Catholic Church. PERIOD. JPeters: Russia and the Russian Orthodox are irrelevant to the Consecration, PER SE, but they are relevant DUE TO THE CURRENT CIRCUMSTANCES. The reason for this is because the Church today is ruled by ecumenical prelates whose greatest fear is offending heretics. If they think the consecration will offend the Orthodox, they are less likely to do it. Therefore, it is prudent to strive to remove this obstacle to the Consecration by having the Russian Orthodox themselves desire it. In this sense, Russia’s cooperation is relevant. The devil does not want any obstacles to the Consecration removed. I suspect that is why he is using the False Friends of Fatima to attack those who are striving to have the Orthodox themselves desire it. Given that you are known to be deliberately FALSIFYING QUOTES FORM THE MOTHER OF GOD, and are trying to pretend you have some alternate translation when that only source is you distorting it yourself, it’s very rich given that everyone can see your reply to Louie above and notice how you completely or deliberately chose to miss the point in order to change the argument against Louie. The only one who had a reading comprehension failure is you. But I don’t believe that’s what occurred. You DELIBERATELY AGAIN tried to set up a Straw Man, much like you DELIBERATELY MISQUOTED the Mother of God about needing bishops IN UNION WITH HIM (The Pope) and claiming you’re taking it from an alternate translation you made up in your head, when I and others called you out on it. JPeters: Above I provided four references for the quotation I cited – three from published books and one from an article in the Fatima Crusader. JPeters: Once again, you reading comprehension “issues” are showing themselves. I never said conversion was ONLY ABOUT the sins of Communism. What I said was that “the errors of Russia” refer to the errors of Communism. Conversion refers to conversion to the true Faith. Therefore you are bringing schismatics into the picture who are NOT IN UNION with the Pope. Therefore you are contradicting yourself when you state you want conversion to the True Faith, but you are perfectly accepting of an ecumenical consecration which by necessity would not require conversion in order to have the schismatic Orthodox show up. So which is it? Because as was repeatedly asked of you, but you kept running away, why the hell would the Orthodox show up to a Consecration that demands their Conversion? Unless of course JPeters wants the Consecration to eliminate all reference and necessity towards this ERROR OF RUSSIA? JPeters: Poor Johnno. The guy apparently can’t comprehend a single word that he reads. Johnno: JPeters, first let’s hear you retract your deliberate distorting of Our Lady’s words you had to have deliberately misquoted in order to attack Ms. Ferreira and defend Burke’s call for an ecumenical consecration. JPeters: As shown a few comments above, I interpreted her words correctly. It was you who misunderstood and misrepresented them, which is not at all surprising since you did the same with virtually everything I wrote. Perhaps you should seek out some professional help for your reading comprehension disorder. It’s never too late! – Can the Holy Father ORDER the Russian Orthodox? ie WOuld they obey his command? – Are the Russian Orthodox in UNION with the Pope? – Does God and the Queen of Heaven recognize as ‘bishops’ those who are in schism from His Vicar on Earth? – Does God through the Queen of Heaven only use the word ‘Union’ in a vague modernist fashion so as to be inclusive of those who precisely reject all of the above? Let’s go JPeters. Let’s see whether you acknowledge your error or continue to somersault hilariously around the facts so that you can continue to light incense to your ecumenism. 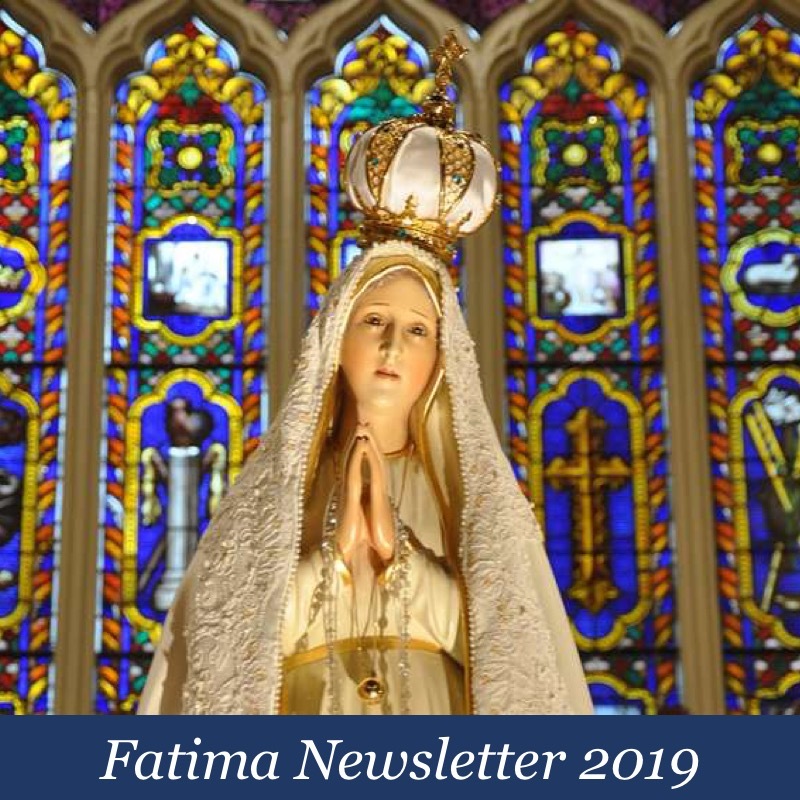 “At the Carmel of Fatima, on May 14, in the morning after having presided at the concelebrated Mass, Bishop Hnilica was received into the parlor. He was accompanied by Father Luigi Bianchi, as well as by Mrs. Wanda Poltavska, and the two ecclesiastics were able to speak for a long time with Sister Lucia. Communism by nature is atheistic. Modernism, by nature, leads to atheism. Burke is a Modernist. Let’s not fail to mention the cultural Marxism that has been infecting our society since the Cold War. It has played a large role in the unraveling of American culture and society. The only question I have is, what happens next? When will God intervene to stop all of this madness? All indications show 2017, but October 13th is here and gone. Could the Purple Revolution start the downward madness and “annihilation of nations” as foretold at Fatima? No doubt about cultural Marxism. But approvingly following sodomite degenerates like Milo, who recently bragged yet again about committing unspeakable acts with his new black “husband,” is itself a product of cultural Marxism. Related, I’m fairly convinced that Milo is a leftist mole operating to discredit the Alt-Right (even though he’s merely Alt-Lite). Yes, Virginia (Dare) There Is A Cultural Marxism–And It’s Taking Over Conservatism Inc.
Cardinal Burke? Give us a break ! This is the capa magna Cardinal who gave permission to a transgendered man to start a religious Order of women when he was Bishop of Madison, Wisconsin ! He was informed he was a transgender and he did not care. So the parishioner who waited for a response informed the Papal Nuncio. According to her this resulted in the then Bishop Burke blackballing her name in every parish as a persona non grata. How very Catholic of him and it speaks volumes about his discernment. ” Green and the Franciscan Servants weren’t the only controversial religious order with which Burke allied himself. In the late 1990s, the bishop combined the parishes of St. Mary and St. James in Wausau, Wisconsin. The two parishes formed the Resurrection Parish at what was formerly St. James’ Parish. I am pleased beyond words that you have had the guts, the intellect and most of all charity to point out the glaring blind spots and errors of certain advocates for Fatima- REGARDLESS of whatever intent they may have had. You’ve done well here, Louie. People need the truth even when it is hard to take. God be praised. There is no doubt that the enemies of the Christ have found their ways into highly influential positions in the Church. We need to be aware of the current push within the Vatican to endorse the latest power-grab by Marxists at the United Nations. Pray for President Trump !!! Thank you ock. Short and to the point! The very fact that the Freemasons, Communists and Illuminati are waging a non-stop war of such malevolent slanders, smears and outright hatred against Trump is because he has the strength and courage to stall their plans for a One World Government. Their original plan for their choice of the puppet Clinton fell apart under the personality and Patriotism of Trump. Thanks be to God and may He protect the President. Allegedly, the more recent Lucia who is now deceased, said Our Lady never stated Russia would be converted t Catholicism but would re embrace it’s Christian Orthodox roots. That they are doing , aside from the communists who still are alive , infiltrating and well in Russia. Think about it. This is why True Believers both Catholic and Orthodox suffered and were martyred for their Faith under communism and still do under Isis, the Communist Chinese , the communist Cuban dictatorship and elsewhere. This is how and why True Believing Catholics are suffering under the modernist aka communist regime in the Church HERE and elsewhere. Stop making communism just a focus of and for Catholicism. The Catholic nun I referred to above said there were Orthodox who were martyred and resisted the regime in soviet countries who , believing as much as Catholics, helped each other. Okay so they do not consider the Pope their sole authority , but do we now? Is Borgoglio YOUR Pope? I would point out this is much the same as happened over a thousand years ago. The Orthodox believe in the Ever Virgin all Pure Mother of God and always have. They did not buy into the Immaculate Conception ‘Dogma” because declaring Dogma for them is Scriptural. The same with Original Sin which they refer to as the “Fall”. As Catholics we were taught we have an indelible mark on out soul removed through Baptism, as Orthodox they believe Baptism means initiation into Christianity. Also transubstantiation ,which for the Orthodox is a “mystery” .They do not try to “rationalize” it for the Faithful by giving it a name. Being Eastern Catholic ,we understand the differences that Roman Catholics do not. Many also see parallels happening now ,to the Great and sorrowful Schism. Marxist communists fear Roman Catholicism because it is a global in power and influence. Sadly the time is late . Communism is well entrenched in the Church. One tell tale atheistic communist sign is the fact that Scripture is being redesigned to be all inclusive and dogmatic doctrinal truths are being dropped or redefined, as with the sin of Sodom and Gomorrah being that of in-hospitality or Romans 1 , which condemns aberrant sexual practice. Pray Her Rosary daily and leave the church’s legalisms to Our Holy Mother to sort out. She has to take care of the communists running around in the Vatican and in the Diocese’ all over the world now. We have zero power except though prayer and the donation baskets. Again, when one wears the “heretics can be pope” glasses, all is murky and confused. Chaos reigns. Take them off and even Fatima is easy to understand. The consecration wasn’t done. For our punishment the errors of atheistic communism and socialism spread and infected the whole world, including the Church. As far as Our Lady’s promise that it will be done and an era of peace to come. We can be assured that it will happen in God’s time and in His means. Speculating Russia’s future role is pointless. We are not even sure if Russia has finished spreading her errors. We are all only assuming that the error was communism. Her other obvious error is her Schismatic church. You’ve again demonstrated the gnosticism at the heart of sedevacantist arrogance. Gnosticism? It doesnt take some secret knowledge to know Catholic teaching on the papacy. It is quite clear, heretics are not Catholic. Only the tiny band of sedevacantists understand how truly simple the situation really is, how “quite clear” it is. If only the rest of us could take off the “A heretic can be pope glasses,” we’d be able to see things as clearly as the elite band of sedevacantists, who alone possess quite clear knowledge of the situation. Then, like sedevacantists, we’d become enlightened. The true situation would then become quite clear to us. But unlike sedevacantists, we’re unable to take off these glasses. Thus we remain mired in ignorance and, hence, without the utter clarity sedevacantists alone possess. You’re a gnostic. Why not admit it? It’s quite clear. Sedevacantists have been relentlessly vandalizing the comment sections here for some time now. I’m tired of it. In psychological terms, I see sedevacantism as a form of cognitive dissonance resolution. “I see a man held up as pope. This man is a heretic. Therefore he’s not really the pope.” So clean, cut and dry, so simple. Yet St. Peter himself denied Christ. All the apostles, except John, ran away. The greatest, holiest creature allowed herself to live in total obscurity. The creator deigned to incarnate as a lowly man. Destroyers like Jorge Bergoglio have occupied the chair of Peter since the Judas Council. All mysterious beyond measure. With their lust for clarity, I don’t see how sedevacantists have managed to embrace Christianity at all. “We see now through a glass in a dark manner; but then face to face. Now I know in part; but then I shall know even as I am known.” (1 Cor. 13:12). Sedevacantism is a kind of psychological utopianism. Tom, if I was an Orthodox Patriarch and the Vatican was trying to convince me to make my church into one that is Uniate , I sure would not want to buy into his UN globalist fueled agenda for fear my people would excommunicate me or have me assassinated. I have no doubt that atheistic Free Masonic Marxist Communism is the error She was referring to. The goal is simple, to wipe all Faith n Jesus Christ the Word Made Flesh from the minds of all peoples. You nailed it! Thank you. Your right Tom in regards to the errors of Russia, we are only assuming that it’s communism and the virtues of Marxism, and that her other errors is the schematic Russian Orthodox Church are also spreading, where in its bowels they reject the pope but not the church herself. The Blessed Mother is not believed to be Immaculatly conceived, the divorce and remarried can recieve the Blessed Sacrament up to three times. Excellent point, it’s quite obvious that the Russian Orthodox Church errors is spreading within the catholic faithful, doing as it does in the othodox churches , that is; striking division and ripping the church apart. My question to you is….seeing you speak from a position of sedvantism do you still at least obey Our Lord and Lady and pray for the Holy Father as they requested of us? Keeping in mind that never once did Our Lord and Lady say there would be no pope, only that he will greatly suffer, I cannot also help but ask, Where did you get your insightful knowledge from to determine your position? You see this is one area where the church has not fully defined the situation, but is still in the debate phase, if a pope who falls into heresy. according to Fr Hesse a pope who is a material heretic remains catholic until he clearly announces that they rejects the sacred traditional teachings of the church and promotes his own doctrine. We haven’t had such a thing happen yet, even further still in the situation between pope Benedict and Francis, this is creating major confusion, and it appears with The Fatima children this was confusing for them as well, in the words of Sr Lucy , “the bishop dressed in white , we taught it was the pope.” Why would they say that and then further one say ” the Holy Father was walking by carcuses crying and praying and continued up a hill towards a big cross where he was killed. Are they the same persons or are they different persons ? This is one part of the vision that isn’t clear at all, but Our Lady explained it to St Lucy, and without out that explanation of the vision we will keep wondering about it. But to presume about it would be yet again another spin. Then we have St Francis fortelling of a pope who will be elected illegitimately. did you get that! ( a pope ) not popes. And then he goes on to describe the dire situation among religious orders, we see this very situation today among the orders. Our Lady of La salette telling us of two worm ridden popes. Who are they that are worm ridden but still are popes? What does this mean exactly . Corrupt popes ? , antipopes? , material heretic popes? When she showed them the vision of hell, she simply told them what she showed them, given the grammar of Our Lady and her clarity to explan it, I’m confident Our Blessed Mother did the same for the second vision, that explanation which is being withheld. I’ve come to the conclusion that by suppressing the last message of Our Lady, by releasing the vision of it, they are using it as another method to strike division , as Almighty God foretold the shepherd is struck and the sheep are scattered. We are scattered over this trying to figure it all out. Some say come over here we got the right answer , other groups are doing the same thing. But non of them have the final message of Our Lady. All we know for certain is that we are living in it right now as it unfolds infront if our eyes, the one thing we don’t have is Our Lady’s message, we have no way of knowing how this is pope situation is going to unfold As preordained by God. Who’s in control right now is Francis and his God of surprises along with the wolves who put him there. Preordained by Almighty God to correct us in our errors ? Lord knows we need to be tested. All of this distressed Sr Lucy , as a matter of fact she was horrified by it all. After reading Fr Micheals books, this is exactly the impression I got from Sr Lucy. , it’s more about the the church than Russia. If only we had the third secret, it will clear this all up. Fr Micheal did say his conclusion after studying the documents he had, that once the third secret is released then the consecration will be done. He thinks that it’s the only thing Almighty God will accept to give the necessary grace to consecrate Russia. Meanwhile we are to pray for the conversion of poor sinners and for ourselves, and for the Holy Father. the rosary will do just that and pull us out of heresy if we meditate on her mysteries with sincerity and longing for the truth. The consecration is for the conversion of Russia as Sr Lucy said. If anything Our Lady’s message is being used wrongly as a political football each group using it as a means to promote Whatever they interpret it as , and instead of taking the words from Our Lady she gave to Sr Lucy literally, they as you say spin it. Rather than what was intended in the will of God- the devotion of Our Lady’s Immaculate Heart along side of the devotion to Our Lords Most Sacred Heart, seeing how this is linked to the French Revolution 100 years prior Our Lord requested a very similar consecration to His Most Sacred Heart. The outcome isn’t good if this isn’t done, but the wolves want a revolution, and if they truly didn’t believe it then why are they fighting agianst it so hard as to literally suppress it, To me is see it as : they see Fatima as a threat to their most desired revolution. they will spin it all different colours to create a diversion to lead people away from the real intention, real meaning from heaven. Louie it wou t surprise me one bit if you get emails from people that oppose your article. The only blessing I can honestly see in the conversion of Russia is the end of the 1000 year old schism between the east and west. 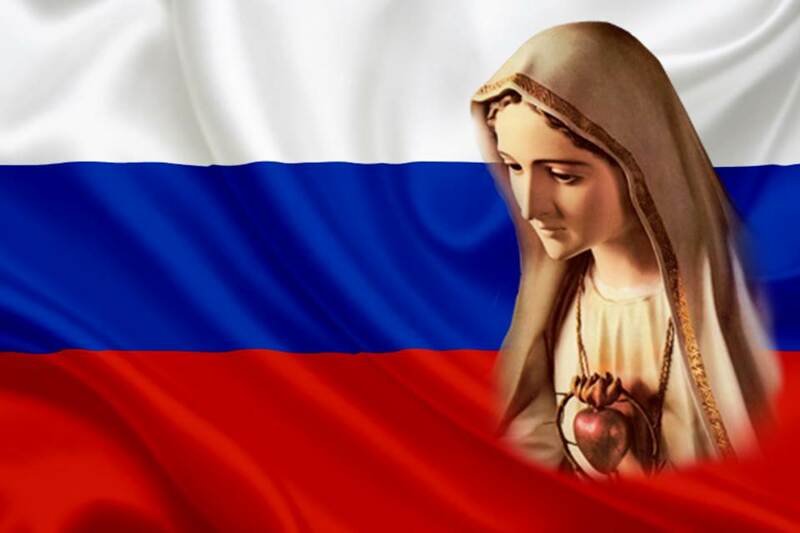 Russia will come back into the folds of the church as Catholics, now that would be a grand and wonderful thing to see, Our Lady’s Immaculate Heart placed above it , God will bring that poor nation back out of its misery. It is the largest nation in the world, and seeing how Russia has such a opposition focus in the west lately, all eyes in the west are watching Russia now. But it will be the church that will bring to her the great conversion through the triumph of Our Lady’s Immaculate Heart. So they the wolves will fight tooth and nail to prevent it by any means possible. They are requesting rosaries for all sorts of things, except this. Sadly when Fr Gruner died his apostolate died with him. But thanks be to God for him still, because without Fr Gruner, Fatima would be lost to us. He may have gotten impressed by a fictional story, it could be after years of being out in the trenches Fighting , when may have grown tired as he so often said he may not be capable or good enough to get this message out clear enough, surely as a human being Fr Gruner like the rest of us having such a fight on his hands, can just as easily become distracted like the rest of us. The biggest obstacle people have to overcome is spiritual coldness with regards to all of it. It’s ok to love Russia and desire her salvation, after all that’s what God wants. Weither she is changing for the better no one can know for certain, but what is certain is that Our Lady’s words of Russia spreading her errors has come to pass, and is still coming to pass as we living in the west See communist virtues being implemented in our own nations, recall what Sr Lucy said about the US , it will be over come with communism . Even today it’s evil doctrine is promoted in the western youth, by the time another generation is grown to adulthood it wouldn’t surprise me one bit if we drop democracy and adopt communism.geopolitically speaking the US is looked upon as the leading western nation. By the words of Sr Lucy, the US will become a communist nation, Western nations will embrace communism along with her. The delay in the consecration affects us all, not just Russia. But what’s it gonna take to put a stop to it ? Seeing that rosaries are prayed daily and have been for years, I never once read anything about Our Lady stating we have to pray and make sacrifices for the consecration of Russia. For the Holy Father yes , for the conversion of poor sinners including Russians yes. for ourselves yes. But nothing about Russia. Pray much for the Holy Father, Our Lord told us to do this as well. But as an observer sitting back and watching what’s going on in relation to Our Lady’s message regarding the pope , what I see going on is either growing hated for the Holy Father or blind love in pope worshipping. We have a major problem here. Dates confused, according to Our Lady the formal request was made at Tuy Spain in 1929, not 2017 , but there are many who believe 2017 marks the 100th anniversary of her request. again another error. People are listening to others and not to Our Lady and Sr Lucy . The danger of this false interpretation will lead others to begin doubting as 2017 ends with nothing happening pertaining to the vision of Fatima. Fr Hesse said listen to Sr Lucy. If people listen to St Lucy, many will see that nothing will happen until 2029, that’s another 11 years away. We have Our Lords word on that. ” given the example of the king of France , in delaying the execution of my request , they will fall into misfortune.” We have historical documentation on that example. The details their provide us with the outcome. Can’t get much clearier than that. Remember what little Jacinta said about praying for the Pope and seeing long lines of starving people. Then there is the question of what are they starving for? Are they starving for bodily food or Spiritual nourishment? In any case we were asked to sacrifice personally and offer up our daily duties ,pray the Rosary daily and to do the Five First Saturdays. We have seen petitioning the Vatican do nothing . We are watching parishes being closed and sold off , priest shortages and every scandal we thought we would never witness under the sun. Isn’t teaching the Truth to our loved ones and praying the Rosary our only recourse? It boils down to individual responsibility. Jesus already told us that. Pick up your cross and follow Me. After studying the so called Great Schism in depth, especially the latest findings in the Vatican Secret archives, ( actual letters between the Eastern Christian Bishops and the Vatican at the time ) by way of Barbara Frales’ books while doing her thesis for her PhD, I am convinced the first split of Christ’s Holy Church on earth was really about nothing more than greed over politics power and property , justified throughout history by ambiguous Theological arguments. Pride always comes before a fall, which is exactly how Satan divided Christ’s Church on earth. The antithesis of pride has always been Our Holy Mother. We should just follow Her lead……….Pray the Rosary daily. Yes history has certainly proven your comment on the schism correct, it was pride one of the 7 deadly sins, that the great Christian civilization of bryzantine suffered for their break from the Holly See, how they decided to place themselves second over the churches in Syria and Alexandrea to Rome, a political move to position themselves as head of the church, was non other than one step towards the schism, but How Almighty God sent the scourge of the mohammedeans to punish them for it. 1000 years later and they still haven’t learned their lesson. It’s quite clear to me that not only the Jews are stiffnecked people, so are Gentiles. Our Dear Lady must weep sorrowfully for their indiffernism towards Her. Thank you for the link, I will certainly read it. As far as I am concerned, the biggest obstacle in defeating the enemy within comes from lack of unity. The Fatima Center is split. The SSPX is split. Francis is the True Pope. Francis is a False Pope. The leaders in the Traditional Catholic Movement have taken their places in the circular firing squad. There is a war to be won and those who profess to be the Soldiers of Christ are scattered and fighting each other. Is this the diabolical disorientation warned by Our Lady? The ‘Diabolical Disorietation’ began with the Freemasons/Communist/Illuminati demanded that John XXIII call Vatican II without rhyme or reason apart from the destruction of the Catholic Church……….then successive popes building on that effort. With Vatican II true Catholic teaching in schools was finished; God was spiritually “patted on His head” and told to move over and keep quiet; MAN placed himself on the altar and it’s gone down hill ever since. Groups and apostolates each have their own pet theories and disagree because they ANALYZE the wonderful messages of Fatima, Akita, Venerable Fulton Sheen, Padre, etc etc . Imagine the pride and arrogance of anyone having the temerity to “analyze” the words of Our Blessed Lady? One can only watch in horror at the success of the malignant intelligence of Satan who first removed teaching = KNOWLEDGE of the Faith, then set about the systematic destruction of the morals of the young; the trashing of marriage and family; disunity; Satan’s favorite sin of Pride that we know better than God; and the abhorrent Novus Ordo fiasco. Padre Pio said his Rosary was his weapon………. we really need to understand that it also OUR strongest weapon against error. May God, the Holy Spirit and Our Blessed Mother guide and protect us all. Fulton Sheen may have agreed with parts of Vatican II but you surely missed his amazing ‘talks’ on the Faith; or maybe you just didn’t understand what he was saying. my2cents….I think you more than anyone has hit the nail on the head. Look at us. We the Traditionslists…..fighting amongst ourselves in an effort to say other Traditionalists are wrong. We spend more time at each other’s throats and less time time fighting the real enemies. We have the resistance, SSPX, neo-SSPX, sedevacantists, the list goes. All arguing that they are the “True Traditionalists.” You know who is not fighting….the modernists. They are all on the same page and unified in their effort to destroy. This is what deters people from taking up the fight against modernism. People may want to leave the NO, but who do they listen to? Which path do they take? Many will throw their hands up in disgust and take their chances. As someone finding their way back to the true Faith, I have been on countless sites, blogs, YouTube channels looking for answers. For each place I looked, I found a new set of people willing to tear others apart. The mean-spirited dialogue between them is worse than anything they aim at the enemies of the Church. The conversions we want will never happen this way. The split amongst trads centers on the Papacy. We cannot unite in battle if we cannot agree who the enemy is. Its a basic principle of warfare. Know thy enemy. We all agree that the enemy is the modernists. But some say those modernists are Catholic and others say they are not. Some say these modernists hold positions of authority in the Catholic Church and others say that is an impossibility. If these modernists hold authority, it is authority from Christ Himself. Some say we can ignore them anyway and others again say that is an impossibility. This is why the differing trad camps cannot coexist and cooperate. My advise is to put away the writings of the theologians and read what the actual Popes said about the Papacy. Then decide if they gave you the right to resist anything they teach. Tom–At this time in history, the enemy is Bergoglio and Co. whether he is a real pope or a fake pope. What you say is understandable, justifiable and has much validity. However, the world sees Bergoglio as “the Pope” and history books will refer to him as “Pope Francis”. It’s sickening! My point is no matter how anyone views this man, he must be fought by a united army who recognize him as the enemy of Christ and His Church. Judas was a traitor to Our Lord who sold Him to those who wanted to destroy Him. Yet, he is counted as one of the Apostles. Sedes and those who acknowledge Bergoglio to be the pope (albeit a horrible one!) must keep both eyes on the enemy and go forward to defeat him together. That is the goal. Please God, help us all. Discerning this passage in Matthew then, my2cents, can you walk away from it believing that this time could in anyway be understood as to be “easy”? As man will find his enemy within his own household, how could we think then that so called “Trad groups” or any “group” of men can yield us some kind of peace or comfort. There is only One Who yields us peace and He commanded this in the Gospel of John, 14, and we know with divine certitude thus, that we will not find His Peace in this world, and that means from human relationship, for instance. The only true Peace is found in Truth, which is hard, but He is a divine Person and He commanded that if any man was to come after Him, he must first deny himself, take up his cross, and follow Him….to Calvary, not to a “group” to find faux human comfort. As Tom A has written, we find ourselves in this chaos in the world as the Bark of Peter is, as it has been, without its captain now for 59 years, again prophesied in the inerrant Holy Writ. I pray this helps. In caritas. In caritas, I am not deceived. I am frustrated and irritated. Every army needs a General. There was a time I thought the SSPX would be the standard bearer for Truth. Now I’m not so sure. I think I’ll just stay home and pray. Thank you, In caritas. My2cents, I understand your frustration because I too was there for a time. I asked why all the squabbles amongst trads? Why can’t we unite and fight the common enemy, Begolio? I came to the conclusion the enemy is much bigger than Bergolio and Co. The enemy is Modernism and all who hold it. This means the enemy is the entire NO V2 sect. This is too hard for most to accept. We all still have that “priest” who gives great orthodox homilies that we know, or that nice FSSP chapel not too far away. Trad confusion is in direct proportion to the degree they accept V2 NO sect as Catholic. The various factions cannot unite since there is no Shepard to unite us. In other words, there is no Pope. KGB-Thank you for your very wise comment. Let’s face it, there is no united front against the evil of Modernist Rome. The enemy within will not win The Final Battle (Our Lady’s promise), but they will win many battles because the Church Militant are “spending more time at each other’s throats” (as you put it so well). Where is the Army of Christ? Here, there and everywhere throwing rocks at each other. That is no way to win a war. The Modernists must be laughing. Heaven help us all! There is no discounting the wisdom of your words, In Caritas, or TomA. My point, and I think, my2cents, is not that we are not aware that the road will be hard or that there will be crosses to bear. But ultimately we are talking about saving souls and those that will be led astray. It is easier for individuals such as yourselves, or Louie, who are very knowledgeable, and can articulate what you believe and why. But when people are looking for someone to guide them to get there because they want to leave the NO, how are they supposed to make sense of it? Their theological life has been a lie. They look for truth, they are desperate for answers, and have 15 different people telling them that they have the true Traditional answer. If the resistance to modernism is about saving souls from the NO and the apostasy, then it can’t be a competition between groups who say they have the same goal. I am brand new to this and find myself in conversations with people still loyal to the NO. I admit I do not have the education to be able to adequately defend the realizations that I have come to, but I also have no idea how to point them in a direction they can understand because their argument becomes the same…..who is right? Please know with certitude that it is not what we “know” that gets us to Heaven and the Beatific Vision unto all eternity. It is love, as our perfectly miserable reflection of the One Who Is Love. In the final analysis, our free will gets us to Heaven, powered by grace alone, that gift both freely given and completely undeserved by every miserable human creature, with me as the first. Our Blessed Lord and Savior commanded that without love of Truth, yearning for Him with a zeal which finds its wellspring from within our deepest interiority, He doesn’t know us, as to love Him is to give Him all that we are. In John 14 our Blessed Dominus Deus Sabbaoth and Savior commanded that whoever knows My commands and follows them, loves Me, and as I am in the Father, you are in Me, and I in you. Remember that He willed each of us into existence, ex nihilo, in this particular time of the Great Apostasy for His purposes, indeed to save ourselves and to assist in the salvation of the other, with the same zeal which we find for our own. Never lose sight of the prize. Pray for the grace of perseverance. Pride and cowardice seem to lead the way in this time. The Grace and Peace of God the Father of our Blessed Dominus Deus Sabbaoth and Savior, Jesus the Christ, be always with you and yours’. Amen. In caritas. Not what we know? I beg to site the Words of Almighty God . Quote ” my people will perish from lack of knowledge.” End Quote. No other words are required on that point. 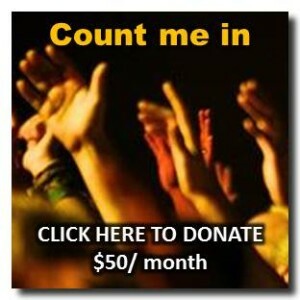 What does a Baptized 50 year old with Down’s Syndrome “know” about the One, True Faith? What is required is faith in love, as our Blessed Lord and Savior commanded that only those with the faith of a child will enter the Kingdom of Heaven. We are commanded to know yes, but only within the capacity which Almighty God has given each of us in our intellective power. To suggest that it is all about knowing is sophistry and is prideful. If someone’s intellect is such that they could know much more and assist in the salvation of the soul of the other in their capacity to know more, but because of sloth or cowardice for instance, that same someone did not pursue their intellective understanding of the Faith more deeply, then that person is culpable. To intone though that everyone must achieve a certain level of knowing the Faith, as though there is a bar on the curve of a chemistry exam, which everyone must achieve to get to Heaven, that is simply false. Lucifer knew everything there was possible to know about the Goodness that Almighty God simply Is, as Love and Truth Himself, and in spite of knowing God beyond our miserable human capacity to even imagine Lucifer’s capacity to know, he denied God as non-Servium in the very moment of his creation. I pray this helps. In caritas. KGB, as you can see, this “In caritas” is incredibly pious, and equally willing to display that piety. But know that once you cross him and his ilk, all that blessed piety will fly right out the window and he’ll spew green bile. Wait and see. indeed your are right about that. Sedevacantism, as espoused by those who post on this site, is as novel as anything introduced into the Novus Ordo since VCII. The sad truth is Sedevacantists, in the objective order, show themselves to be an enemy of the Immaculata; they deny the promise of Our Lady of Fatima that the pope will consecrate Russia to Her Immaculate Heart; they also relieve themselves of the unpleasant burden of praying for the Pope and they reject the request of Our Lady to do so; They do not promote the Message of Fatima since it doesn’t square with the belief that there is no pope. They , by their own authority, have liberated themselves from all of the concerns of the ignorant “Trad” by declaring that there is no pope. Problem solved. Unfortunately for the rest of us who are not willing to climb into their rudderless barque, we have to be subjected to their pompous pontifications at every turn. I understand the temptation completely and I do believe that those who hold the SV position are men of good will but that doesn’t make them right. Our Lord has spoken and the only hope of deliverance from this terrible castigation will be through the Immaculate Heart of the Blessed Virgin. Our Lady of Fatima Pray for Us. If this pope or a future pope does consecrate Russia to Our Lady’s Immaculate Heart exactly as She requested, we must pray that Russia will convert to the Holy Roman Catholic Church as founded by Our Lord. If Russia’s conversion falls in line with the N.O. V2 novelties, I don’t see much hope for the world. That is why I strongly feel that before Russia could be converted, the N.O. “church” must be converted first. What is more frightening? The rudderless barque of the sede position (as you put it) or the Captain of the Barque of Peter using the rudder to head straight for the “iceberg”? There are many men of good will in the Novus Ordo establishment, but that doesn’t make them right either. You are correct— Our only hope is the Triumph of Our Lady’s Immaculate Heart by whatever means She chooses. Our Lady of Fatima, pray for us indeed!! Thank you, KGB. That is exactly how I feel, but you said it much better than I could have. The Modernists who have hijacked the Catholic Church are doing a wonderful job of erasing the memory of all things truly Catholic and replacing it with a fake empty “religion”. Let us stay faithful to the Holy Roman Catholic Faith as founded by Our Lord and pray for guidance to help save souls. Our Lady leads all souls to Her Son. That is our hope and prayer. …and Tom A still can’t spell shepherd. In my days, they’d make me write it out a hundred times if I made such elementary errors, but obviously Teenage Tom A is a product of Trad Cath homeschooling, in which spelling counts for nothing as long as you believe that the sun revolves around the earth and John Paul II was an antipope. Speaks volumes about the intellectual pedigree of these so-called “better than Francis, better than Lefebvre, better than the FSSP” pseudo-intellectuals, doesn’t it? Thank you for the spelling correction, Prof Q. Its never too late to learn. And thank you for your humble and gracious reply. Pax vobiscum.